DUDE! I cannot even deal right now…. Where do I begin? 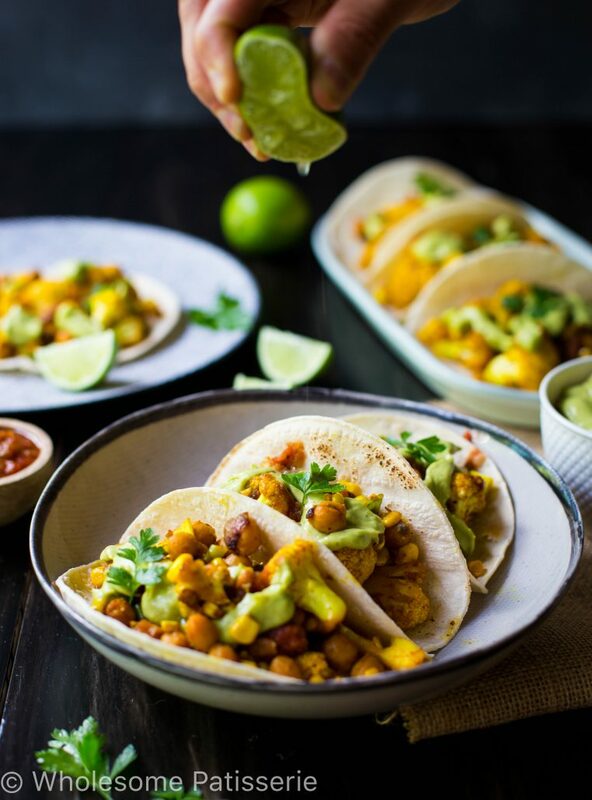 These taco’s, the filling, the sauce, the seasonings all combine to make a phenomenal tasting dish, even that sentence doesn’t do it justice. I have to start off with the avocado dressing because we just ate it for dinner and my heart is still completely and utterly in love. How can someone get so worked up over a dressing? WE DO! I know you feel those feels over food, that’s why you’re here! This creamy, dreamy, avocado’y taco dressing/dip/sauce is the best thing EVER!! I feel like I’m in a gourmet, organic, healthy chipotle restaurant when I eat this dressing, maybe not that, someplace even better than that, a place unknown to our species. Ok ok let’s not get too carried away, all I can say is that you have to make this avocado dressing like ASAP!! Along with the delicious taco filling of course! 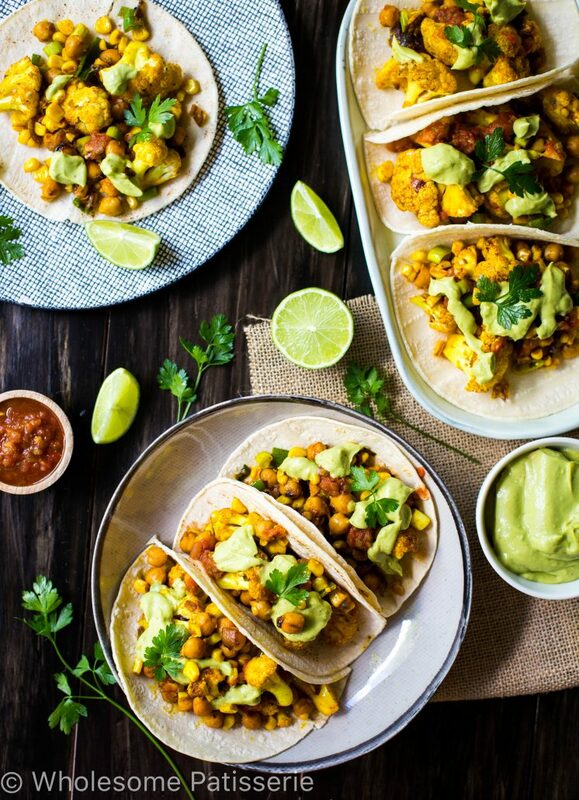 This Mexican street style taco filling is not only so easy to make but it’s full of flavour that packs a punch! Of course if you’re sensitive to spicy/hot food, please adjust the seasonings to your taste bud preference, you still want to be able to enjoy all the flavours and not have a burnt tongue whilst doing so. 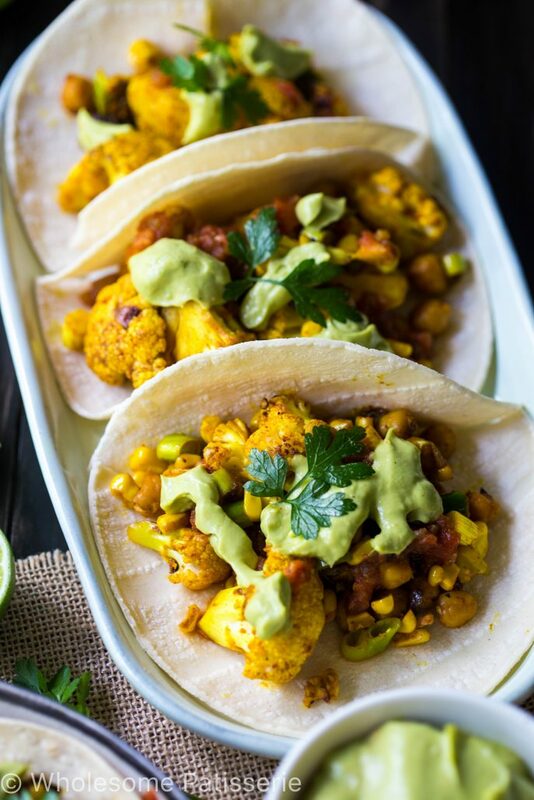 The bulk of the filling is made up of cauliflower, chickpeas and corn, yummy right?! 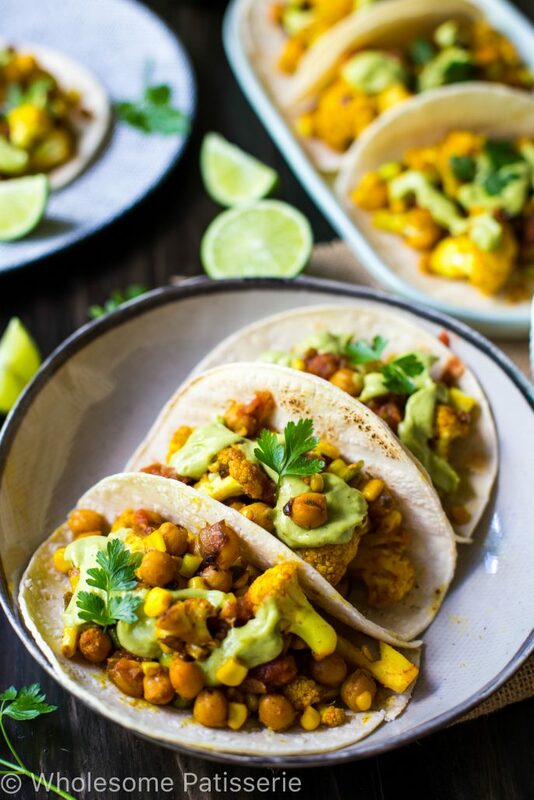 Along with onion and spring onion and a heap of seasonings to make you jump out of your seat (not from the extreme spice, it’s not that spicy, but from the pure deliciousness this taco filling exudes). Pour dressing into a clean bowl, refrigerate for later. Heat 1 tablespoon coconut oil in a large fry pan over high heat. Add diced onion, sauté until translucent. Add cauliflower florets with another 1 tablespoon of oil, cook until tender, about 10 minutes. Add more oil if it sticks too much. Add chickpeas, cook for 2-3 minutes, then add corn and spring onions, mix well. Reduce heat to medium. Add all spices, seasonings and lime juice to mixture, mix well and cook for a further 5 minutes. If cauliflower is tender, the mixture is ready. Turn off heat. 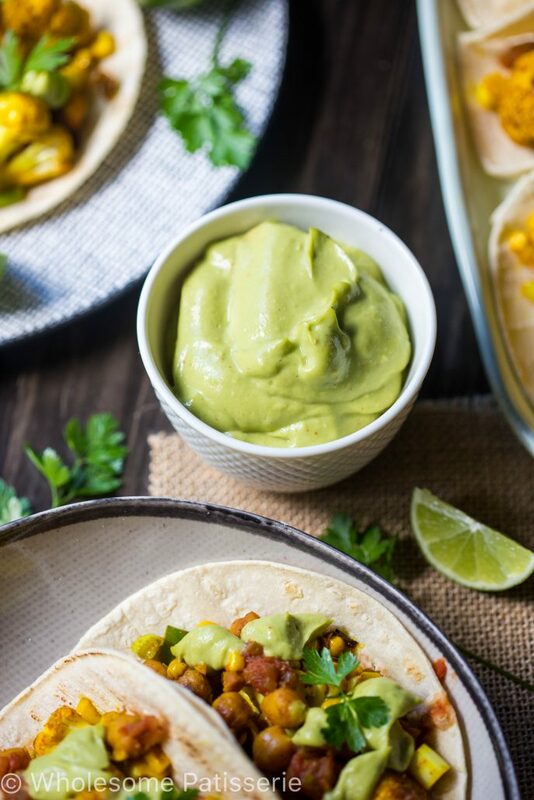 Fill up your taco shells, top with avocado dressing, salsa and parsley. Store leftover avocado dressing in an airtight container, refrigerated, for 2-4 days. Store leftover taco filling in an airtight container, refrigerated, for 3-5 days. ~ I added cilantro to the cauliflower mix as well b/c I love it!